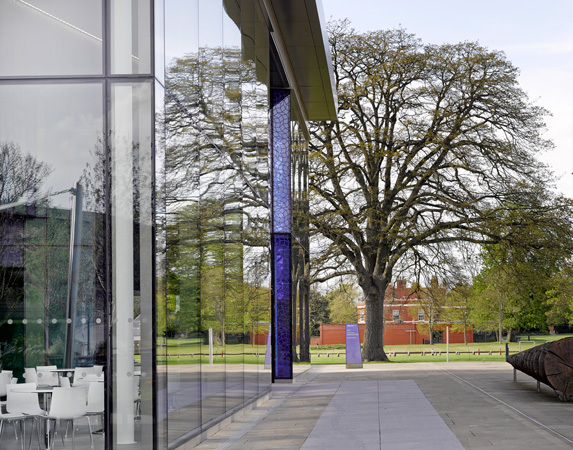 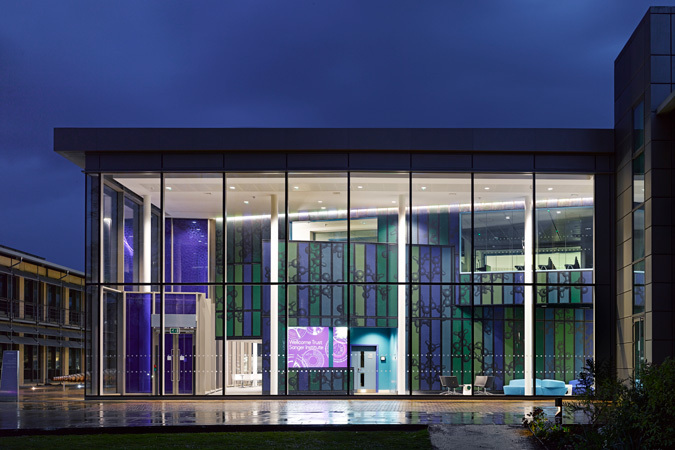 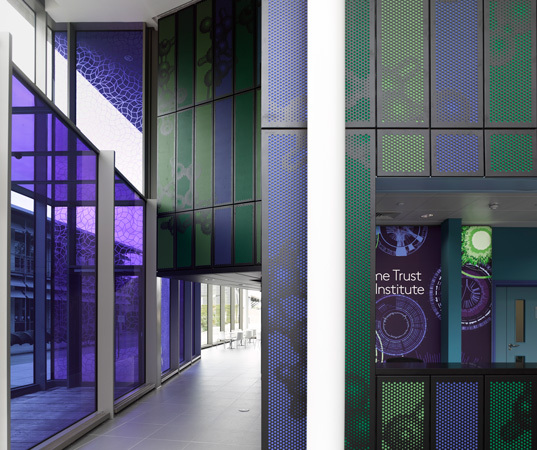 The design of a graphic interior for the Sanger Institute's new shared space on the Wellcome Trust Genome Campus south of Cambridge, UK. 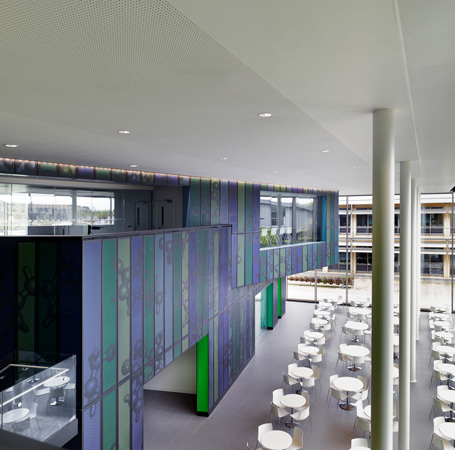 Working with the architects Abell Nepp and Campus scientists, our aim was to encourage interaction between campus scientists, researchers and visitors in a space that reflects lightly on the research activities taking place on site. 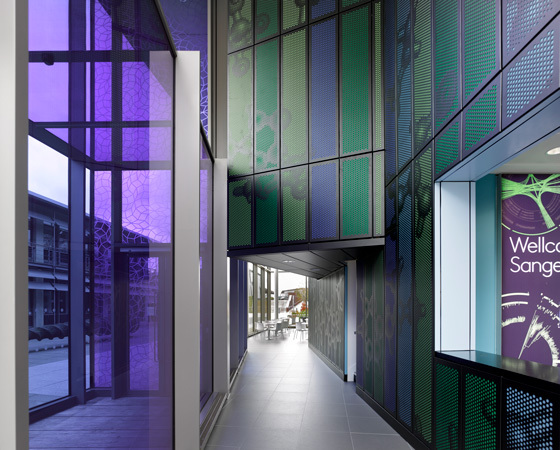 We decided that noise reduction would make the glass box space easier to work in and that a graphic intervention would animate it visually. 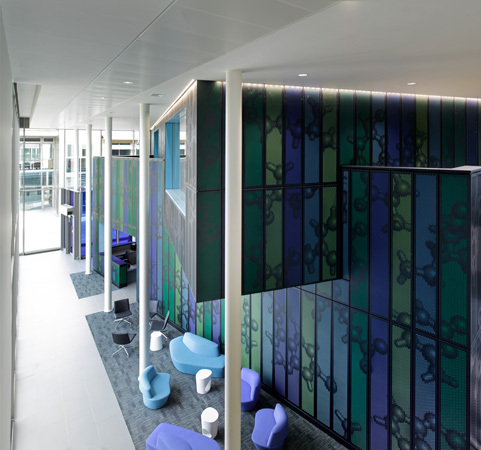 The walls provide the necessary acoustic softening through a covering of graphic 'stick and ball' representations of molecules. 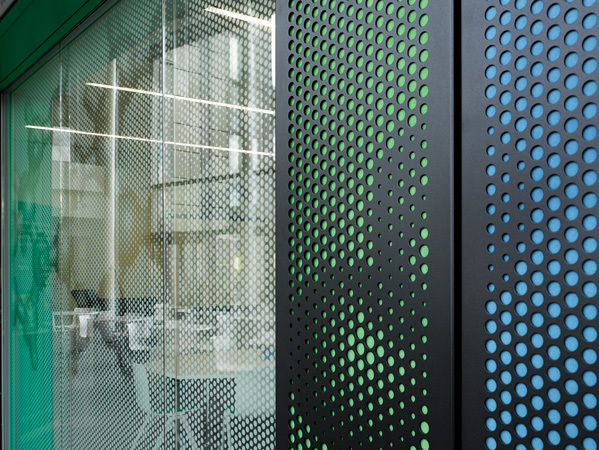 The illusion of three dimensions in the illustrated surface is achieved through a generative dot-halftone perforation of steel sheets that are mounted in an interlocking grid over coloured Kvadrat fabric panels (that deliver the softening). 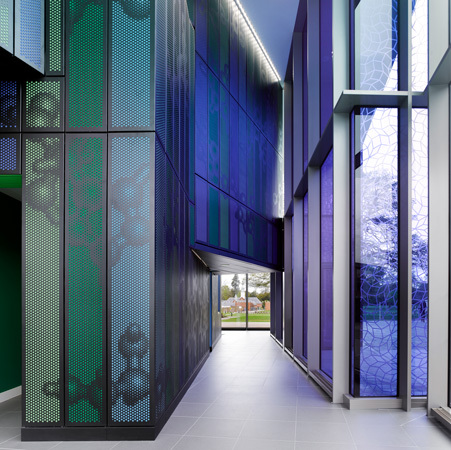 Scientists engage with the space, compete with each other and impress visitors by trying to guess what each of the 70 molecules are (testosterone, dopamine, penicillin, caffeine etc.). 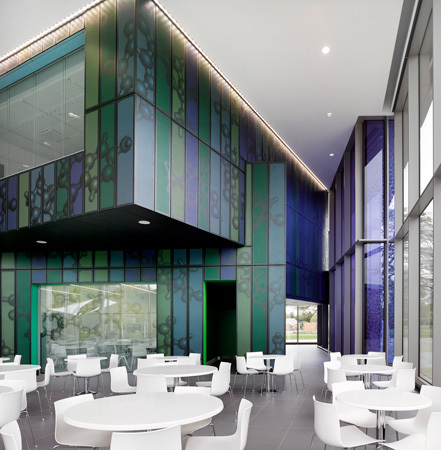 More graphic patterning extends over glass wall panels (blue glass entrance lobby, green glass lantern entrance to the library) that are covered with clear film carrying a geometric pattern inspired by Penrose tiling (an interest of one of the Campus scientists).